James N. Sells, Ph.D. is the Asst. Dean for Academics and a professor of counseling in the School of Psychology and Counseling at Regent University, Virginia Beach, VA. Dr. Sells has served as a professor for 24 years, having served at Regent University since 2005. Previously, he held academic positions at Northern Illinois University and West Texas A & M University. He holds masters’ degrees from Wheaton Graduate School in Educational Ministries) and NIU Counseling. His Ph.D. is in Counseling Psychology from the University of Southern California. He has co-authored four books including Family Therapies: A Comprehensive Christian Appraisal and Counseling Couples in Conflict (IVP: with Mark Yarhouse) and Grace and Hope for Marriage and Grace and Hope for Marriage: A Couples Workbook (ZDL Publishing: with Jennifer Ripley) and more than 40 journal publications. His scholarly efforts focus on international counseling/psychology education; engaging cultural themes with old ideas that are forever new and marriage and family reconciliation. 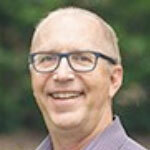 Jim is a Licensed Psychologist and with a practice in Chesapeake/Virginia Beach, VA. He is a Licensed Psychologist in Illinois and Virginia. Dr. Sells has been married to Heather Conley Sells for 26 years. They have three young adult children and live in Chesapeake, VA.